Loud Shirt Day took place last week and the creative community over at DesignCrowd.com got into the spirit by coming up with some funky fashion ideas to help with the annual Loud Shirt Day campaign held on Friday 16th October. DesignCrowd got involved to raise awareness about The Shepherd Centre and the work it does to help support kids with hearing and speech difficulties. As we raided the wardrobe for some crazy shirts to wear, designers from around the world submitted their suggestions for a new range of colourful t-shirts. Sydney-based DesignCrowd, an online marketplace providing logo, website, print and graphic design services through a network of global freelance graphic designers and design studios, launched a contest asking for “out of the box thinking” – and the designs didn’t disappoint! Within a few days, 43 designers from Singapore to Sydney had submitted a total of 95 eye-catching t-shirt designs featuring Loud Shirt Day branding. 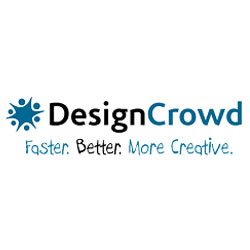 “First Voice deeply appreciates the wonderful support given by DesignCrowd in raising awareness of our Loud Shirt Day campaign. Through their innovative fun-approach, DesignCrowd is helping First Voice centres create a strong listening and spoken language future for children who are born deaf,” said Therese Kelly, Board Chair of First Voice. We want to give a big thanks to all the great designers from around the world that got involved in this contest, and a big congratulations to the winners Pallavim from India, Aurelio from the Philippines and Wendy from Mexico. We hope to roll out the winning t-shirt designs during some of our Loud Shirt Day events in future.